The devs all did the ‘Guess the Biome game’ at ‘Show and Tell’ this morning! It was loads of fun! I think the overall winner was @Minyi! They all look awesome though! All pictures from WorldBuilder are very dark. Could we do anything for make them more lightful and colourful? Aww, I thought I changed them? Can I just ask, exactly how BIG is this one world?? I know at one point that different planets had different sizes, but for all of these biomes to fit in ONE world, this worlds going to be massive!! Also, I absolutely love the design for these biomes, and can’t wait to explore! Great job devs!! The worlds are 288 X 288 chunks (chunk = 16 X 16 blocks) although we can change this. 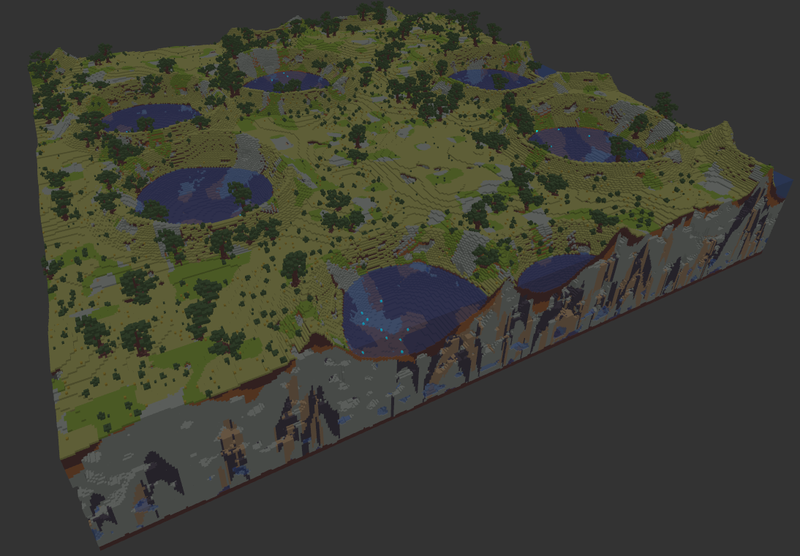 The worlds we are experimenting with typically have around 10-20 biomes. 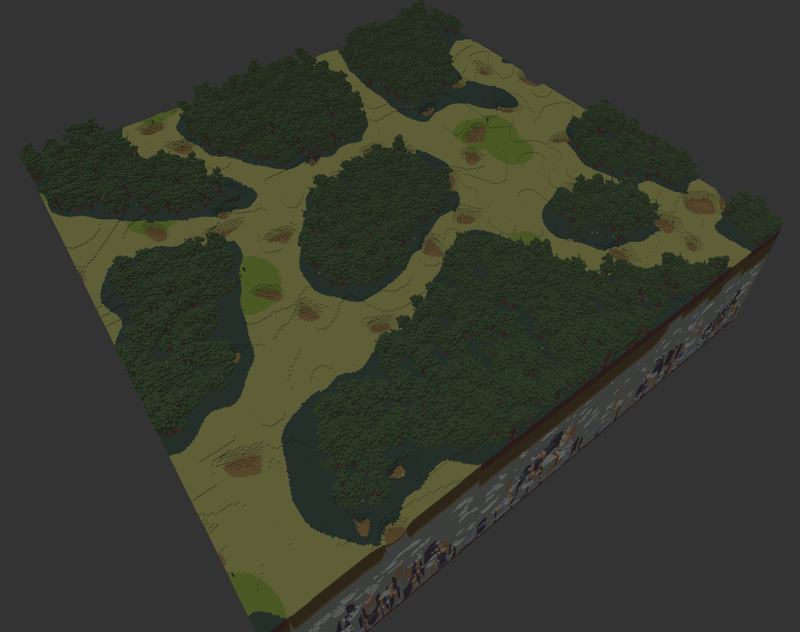 What you are seeing in these pictures are 32 X 32 visualisations of single biomes. We will not be using all the biomes we have produced in our next release of worlds, there are simply too many however, there will be a lot of new things to explore. 4 reminds me a bit of settlers of catan with roads and whatnot but I don’t think that’s it. To be honest, the third image reminded me of a Godzilla nest and as for 4, I think it would be cool to build small paths following those tree lines. What about if they’re titan egg nests? does all biomes connect to one super large world so you can travel other biomes without portals or there is 10-20 biomes in different “server” and connected only with portals? Here is a few worlds (but now only two worlds in universe), and every world has set of its own biomes. Worlds connected by portals, but in one world you can travel between biomes without portals. These are intended results. However, some effects/techniques used to create one biome inspire other biomes. An example of this: the technique used to create the crater lakes is the same as the egg nests. I set out to create a crater but then thought they also might make good nests. Edit: I might make a post about some tips for the world builder next week to achieve some of these effects and easily create your own too. A world you can think of as a server (it is). So in a world you may find 10-20 biomes. However biomes do not have to be as vastly different as desert to tundra. We have at least 15 variations on desert. 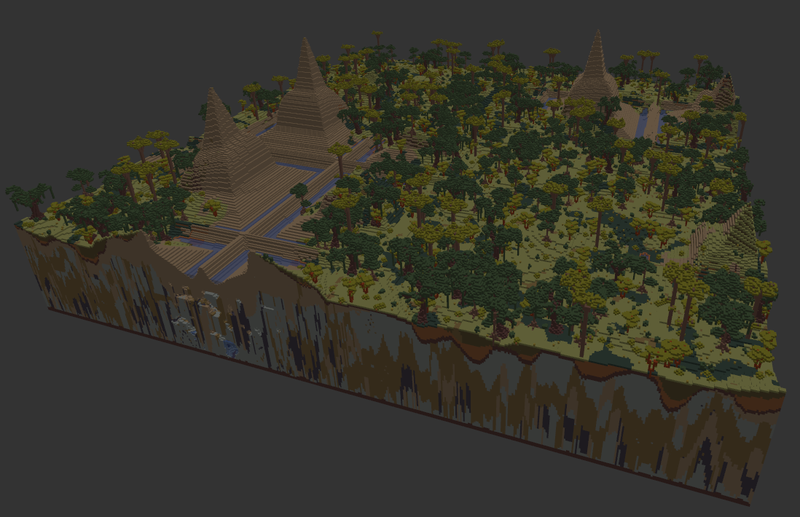 On one world we might use 8 desert biomes and 8 forest biomes. You would not have to travel through a portal to go between these no. 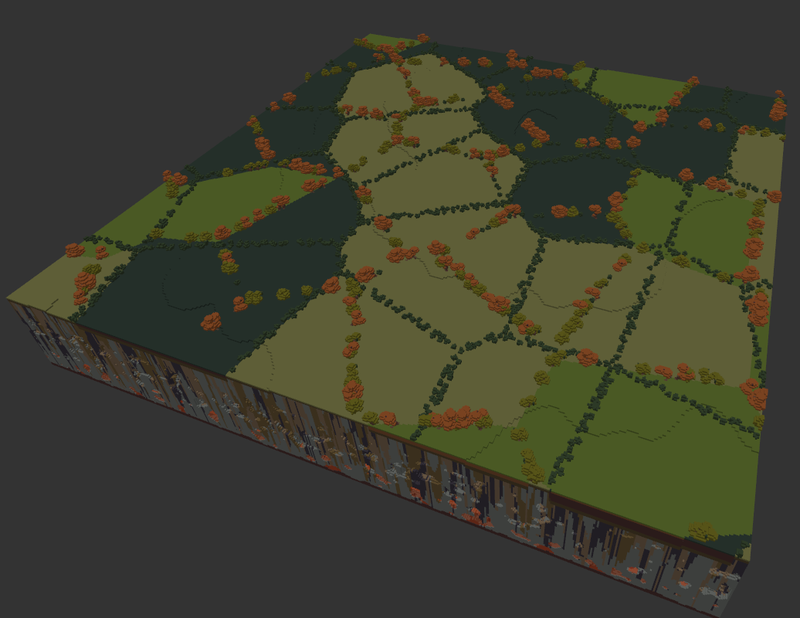 However, worlds will very infrequently have all types of biomes on them. We have made some worlds with lots of variety but you will also find worlds entirely desert. It will be necessary to travel to different world to find more different biomes and resources. I think number 4 looks like farmland with the dark green shrubbery being fencerows, and number 2 is going to make for some very beautiful vistas. I love all of these biomes ^^ Can’t wait to see them in game!